Introducing the emicro Condor, Micro's new lightweight, foldable fully electric scooter. With a throttle and 20 range and it embodies the ultimate in electric functionality and design built with the commuter at the core, a truly innovative addition to the Micro electric range. We had the chance to chat with the product manager, Gian Zimmermann, on everything from the emicro one to the fully electric emicro Condor through to the future of the personal electric transportation device (PETD). What sets the emicro Condor apart from other electric scooters? It is the only adult’s electric scooter that’s engineered in Switzerland and in fact even in Europe. Therefore we were able to incorporate additional thoughts into the design that cater for the European market but are of benefit globally, for example the cruise control feature. What is the main difference between the emicro one and the emicro Condor? The main difference is that the scooter is completely electric and utilises a hand accelerator/throttle. The large wheels for increased comfort completely change the user experience; 20 kilometres can be made effortlessly. The bigger battery has an increased range meaning it won’t need to be recharged for the daily journey. The emicro Condor is a true testament to the innovation of Micro Scooters which is intrinsic to the brand itself. What is the ultimate goal you had in mind whilst designing/creating the emicro Condor? After considering the electric scooter market I wanted to develop a premium electric scooter that could travel greater distances comfortably, enabling end to end journeys. In this way I wanted to develop an electric scooter that catered to the general need for comfort, stability, grip and a throttle. Making it a real alternative to electric bikes. With the emicro Condor you don’t need to do anything - it does it all for you. No need to sweat - just enjoy the journey. What were the key challenges you had to overcome whilst designing/creating the emicro Condor? It was a challenge to implement the new unique two-way throttle twist grip and handbrake. We had to run a cable run from the foot board (where all the electronics are) up to the handle bar to ensure the rider could brake with ease. Secondly another challenge was our mindset and vision to always to keep our scooters as small and compact as possible. 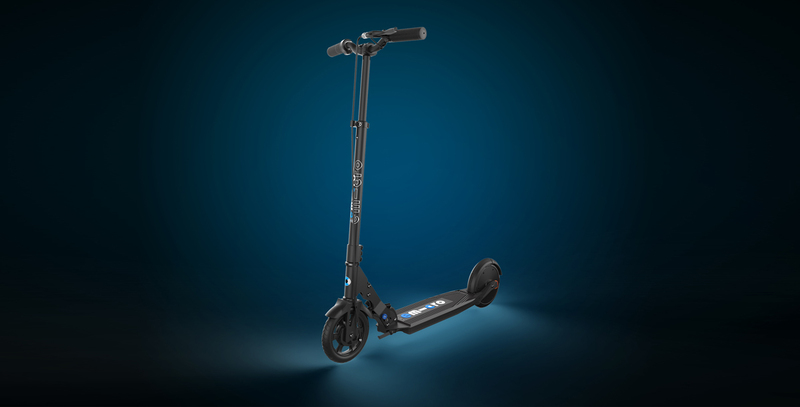 The emicro Condor was going against the strategy however I knew from all my user interviews and customer feedback that we had to go bigger to deliver a premium electric scooter with outstanding performance and rider comfort. What is the best benefit of the emicro Condor in your eyes? There is no longer any range anxiety as the emicro Condor can travel up to 25km. Also it is easy to use even for someone who has not ridden an electric scooter before - you can just get on and go with confidence. How was the emicro Condor designed for the everyday commuter? The unique 200mm foam core rubber wheels have a dual effect on the comfort and safety for the commuter. 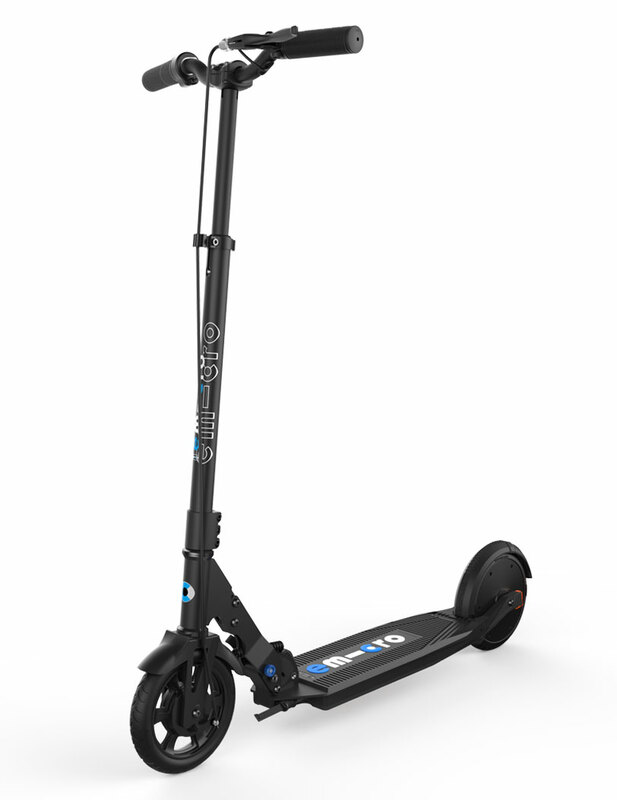 Firstly the size enables the rider to fly over all the curb stones and little obstacles in comparison to small wheeled scooters. 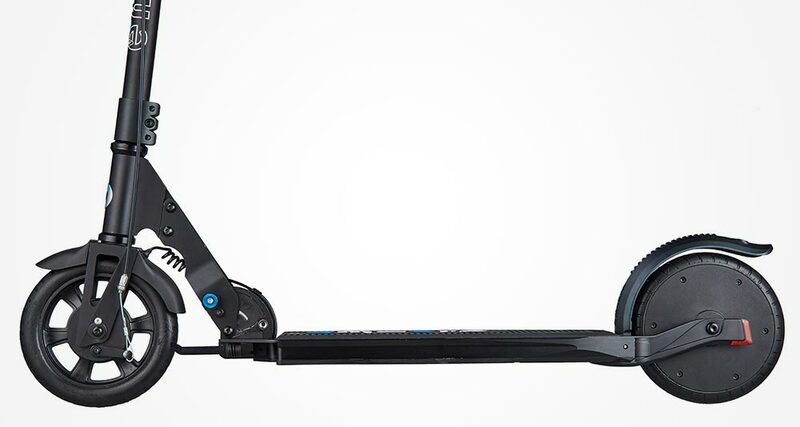 Secondly rubber on the one hand is softer – giving an additional suspension effect and on the other hand it offers a lot more grip so you don’t slip like other standard scooters. You’re at one with the ground. How will the emicro Condor change everyday commute/travel? For me it’s really interesting as the habits of people are so different everywhere. So how will it change everyday commuting for everyone? You will want to ride it. The emicro Condor is powerful, fun and exhilarating. “You will want to ride it – the emicro Condor is powerful, fun and exhilarating." How has the endurance of the emicro Condor been tested? The emicro Condor has been rigorously tried and tested, we have several on-going ‘real life’ tests and endurance lab tests as well. We have employed staff specifically to ride the emicro Condor for eight hours a day every day and they have already completed roughly 1700km in a couple of weeks. Endurance and quality tests are also done in the lab. For example we test it over two huge drum rolls which are covered in bumps for hours. Similarly we do cable tests where we extend the tube in and out 5000 times to ensure the quality and longevity. In the initial phase, I’m working on a kid’s electric scooter for boys and girls around 10-12 years old. It will be really cool; it will be super fun, super stable, affordable electric scooter for children with a nice design and cool functions. What do you see as the pillars of future of urban mobility? You have in this whole ecosystem of PETD; you have the adult’s electric scooters, e-bikes and self balancing vehicles – the Hover Boards, Solo Wheels and Segways. I believe will be very important in the future is the feature of a handle bar for safety in order to have a tried, tested and trustworthy braking system if you’re going up to 25km/h. And in my humble opinion most self balancing vehicles do not and will never have the acceptance that e-scooters will have, because of the importance handle bar for both the riders and pedestrian’s safety. Gian Zimmerman is the Product Manager emicro one at Micro Switzerland.